At one point that nightmare was nearly reality. And yet the City of Wheeling mulled over taking ownership of the grounds for two years. While it seems almost preposterous in 2018, a little over 90 years ago the fate of one of Wheeling’s most beloved jewels was undecided. 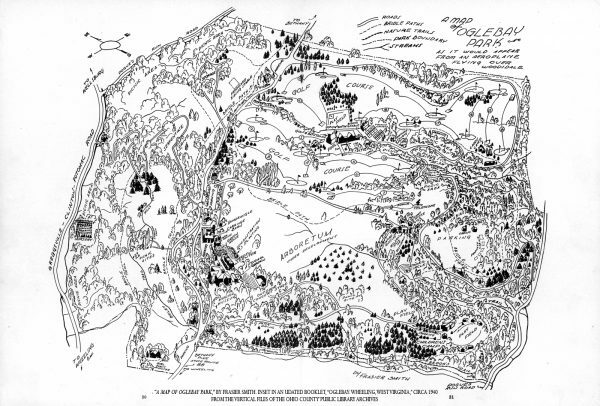 The land on which Oglebay Park now spans was awarded by the Commonwealth of Virginia through a land grant to Silas Zane in 1784 because he had lived on the land since establishing his claim through tomahawk rights in 1775. Along with his wife Catherine and their children, the Zanes lived in a small log cabin on 400 acres of land that would eventually become Oglebay Park. The Zane family owned the land until 1812 when it was purchased by Noah Linsly, who would later found what is now The Linsly School. After his death, the land was purchased by Samuel Sprigg, a highly successful attorney who became the mayor of unincorporated Wheeling in 1828 and used the land mostly for sheep farming. In 1856 an Englishman from Pittsburgh, George Weatherall Smith, purchased the farmhouse and 416 acres of adjoining land. He named the estate Waddington Farm after his family’s ancestral home, Waddington Heath. 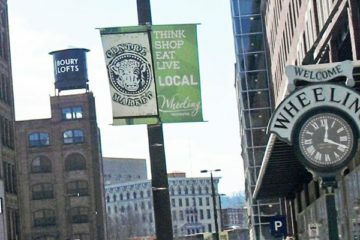 Smith owned and operated Wheeling Brewery at 1700 Chapline St., and locals remember seeing him riding his horse to the brewery downtown and back to Waddington each day. The Oglebay Mansion at Waddington Farm, now the Oglebay Institute Mansion Museum in Oglebay Park. In the years that followed, the farm changed hands multiple times (including those of the farm’s only woman owner, Frances Phillips) until 1888 when it was purchased by A. Allen Howell, the father of Sallie Howell, who had married a Wheeling-raised Cleveland industrialist by the name of Earl W. Oglebay in 1881. 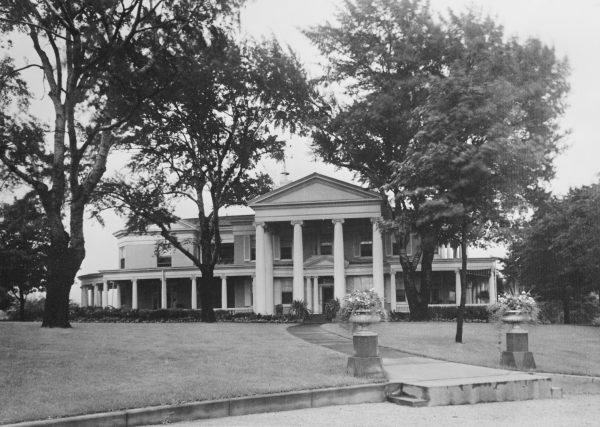 In 1900, Oglebay purchased the now 25-acre estate from his mother-in-law, becoming the 13th owner of the land. Over the next 25 years, Colonel Oglebay would invest more than money into the farm. He devoted much of his time and energy into learning about agriculture and developing the land into a fine country estate and model scientific farm. Under Oglebay’s direction, the farmhouse was expanded, more than 60 other buildings were erected or rebuilt, roads were constructed, and landscaping shaped the rolling hills into a summer oasis for the Oglebay family, whose time on the farm eventually extended from June into December. Waddington Farm soon became known as an experimental farm where people from all over West Virginia could come and learn state-of-the-art farming methods in both agriculture and animal husbandry. By 1905 the farm had grown to 750 acres. 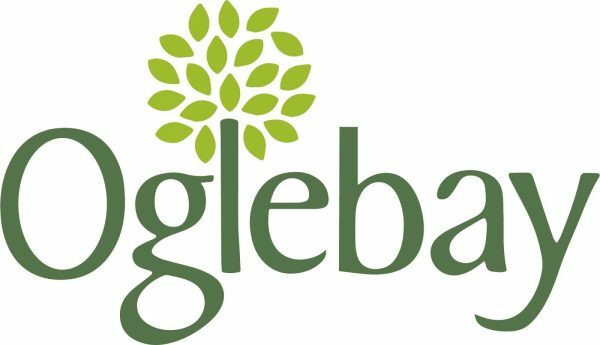 After studying agriculture in Europe, Oglebay realized that successful farming required an owner to be present not just in the funding of farm projects, but in the knowledge of the smallest details of its inner workings. About this approach to farming he observed, “The master of the land lives by the land and he gives the land the same attention that Americans give to banks, stores, mines and factories.” Oglebay lived out this philosophy as he was thoroughly involved in the day-to-day workings of the farm, even when he was in Cleveland. Livestock and crop reports were delivered to him regularly so that he could make suggestions for optimal growth. When Earl W. Oglebay died in 1926, he bequeathed Waddington Farm to the city of Wheeling for as long as it “shall operate for the purpose of public recreation and education.” Today, few of us could imagine that anyone in Wheeling would consider rejecting this generous gift, but newspaper editorials and letters to the editor of the time tell a different story. It took the people of Wheeling two out of the three years Oglebay’s will mandated to finally accept this million-dollar gift. Sallie Howell Oglebay, left, 1856-1916, wife of Earl W. Oglebay; Earl W. Oglebay, 1849-1926; Sarita Oglebay Burton Russel, 1882-1930, only child of Earl W. and Sallie Howell Oglebay. In hindsight, their hesitance is understandable. 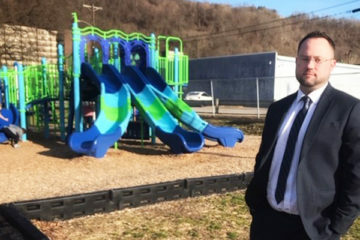 The City of Wheeling had just accepted responsibility for Wheeling Park, which at the time stretched to over 130 acres, and the people expressed concerns over the fiscal consequences of taking on the 750-acre Waddington Farm. City leaders worried that there would not be enough money to both maintain the land and its buildings while also carrying out Oglebay’s wishes for recreation and enjoyment for all. 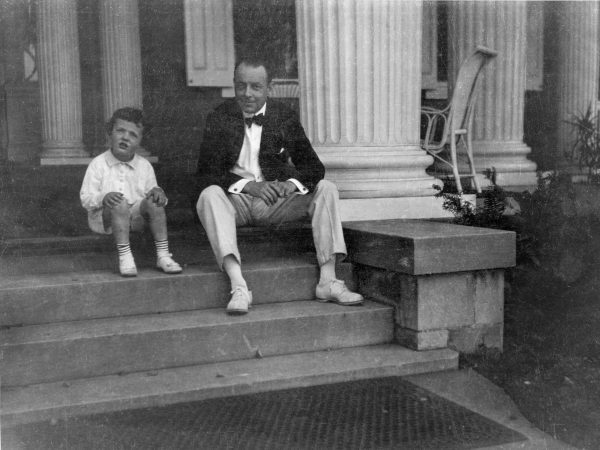 Courtney Burton Jr., 1912-1992, and his father, Courtney Burton Sr., 1881-1919, on the front steps of the Mansion. This photo shows Sarita Oglebay Burton’s second wedding to Albert Russel in 1922. Sarita was the only child of Mr. and Mrs. Oglebay; she married Courtney Burton Sr. in Jan 1912, and Courtney Burton Jr. was born in October of that year. Courtney Burton Sr. died from the influenza epidemic in 1919, leaving behind his young widow and child. Sarita married a friend of the family, Albert Russel, in 1922. 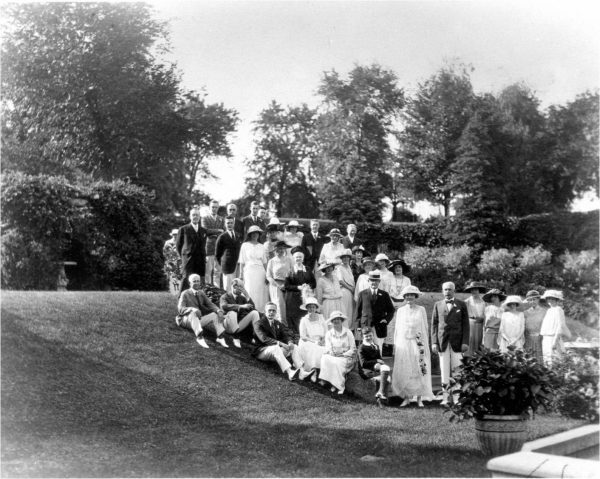 This photo shows the formal garden, called the Colonial Garden, with the wedding party. Sarita and Albert take center stage, with young Courtney sitting on the left. 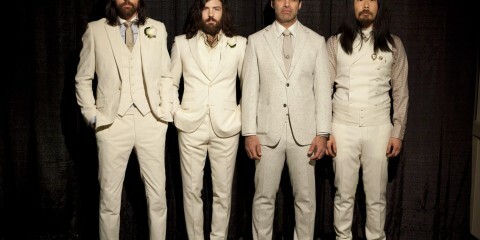 Mr. Oglebay is standing in the center with a straw hat. 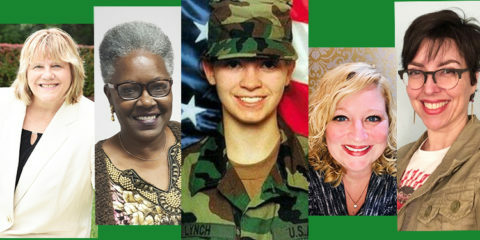 Not long after Sarita’s letter arrived, Wheeling City Council voted unanimously to accept Waddington Farm to be renamed Oglebay Park to honor Colonel Oglebay’s generosity. If not for her support, the ownership of Oglebay Park might well have reverted back to the heirs. 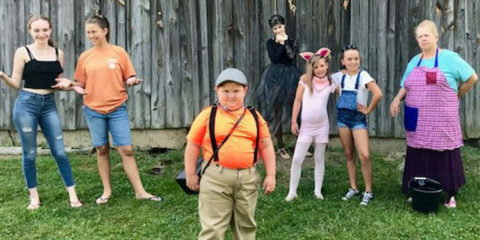 When the City of Wheeling took possession of the farm in July 1928, it set in motion 90 years of recreation, education and amusement for what has become close to a million visitors per year. In fact, the weight of the acceptance of Waddington for the future prosperity of Wheeling and the surrounding areas was a significant trope throughout the coverage of the decision. 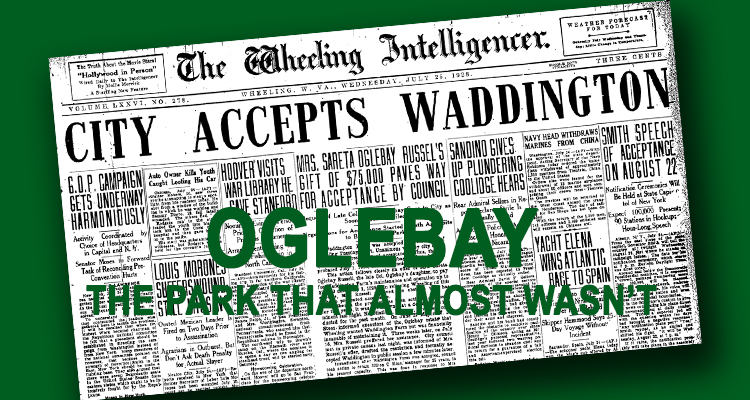 As one writer in the Wheeling Register noted, “Wheeling council last night made history — history that will live over the years to come — by formally and officially accepting, on behalf of the city, Oglebay Park, the gift of Col. Earl W. Oglebay, deceased.” These prophetic voices pointed to a legacy that continues to thrive nine decades later. 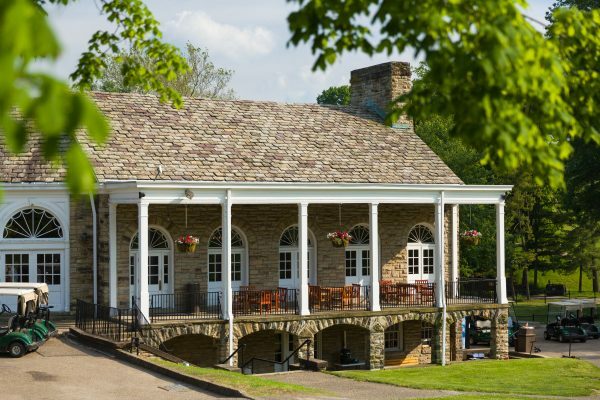 July 2018 marks the 90th summer Oglebay Park has been owned and operated by the City of Wheeling. 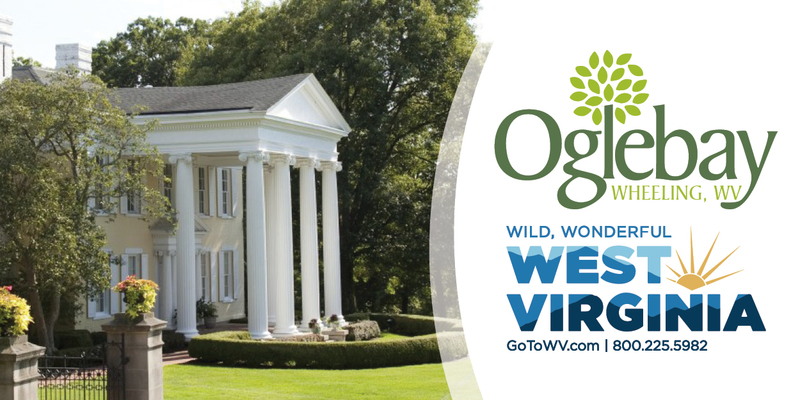 Over those 90 summers, the people of the Ohio Valley have watched the park expand far beyond its original boundaries to become the fulfillment of Earl W. Oglebay’s wishes and his grandest dreams. While waiting for the people of Wheeling to accept or reject Waddington Farm, Crispin Oglebay carried on his uncle’s work. 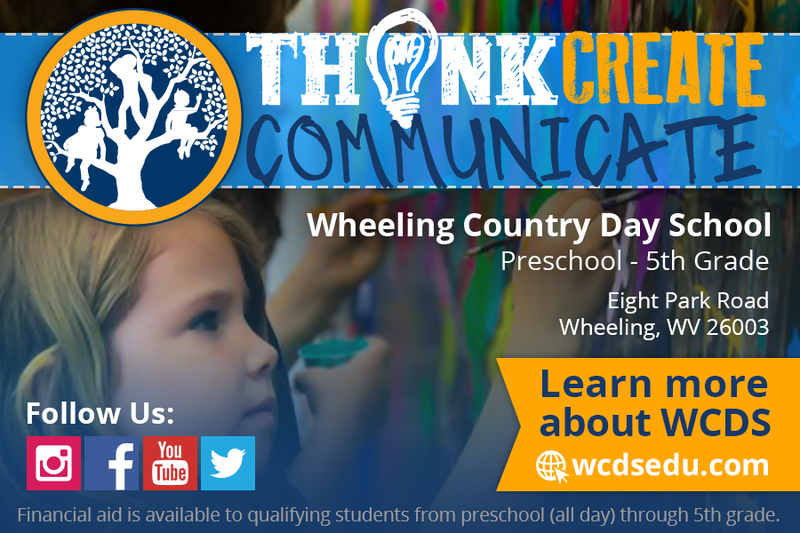 He collaborated with the Agricultural Extension Division of West Virginia University to establish a demonstration program at Waddington Farm for public recreation and adult education. These early endeavors are the roots of what would become Oglebay Institute in 1930, the organization largely responsible for many arts events throughout the Ohio Valley. In the 1930s the Works Progress Administration would help build the Crispin Center, which is home to Oglebay’s Pine Room, where events are held year round, including the annual Woodcarver’s Festival and the Festival of Trees. Just outside the Pine Room, park visitors can enjoy a refreshing dip in Oglebay’s spectacular outdoor pool. Recent updates to the pool include new chairs, umbrellas, an in-pool obstacles course and climbing wall, and Fountains of Fun — a splash pad for young and old alike. Known from its early days for its impressive stables, Oglebay Park still maintains horses and provides riding lessons throughout the year. Other recreational activities include golfing, tennis, kayaking and paddle boating on Schenk Lake, skiing, sledding and so much more. Recently, the park has expanded its trail system and updated its playground, the Good Zoo, Wilson Lodge, the cottages and more. Come out and celebrate our park’s 90th birthday from July 27-29. 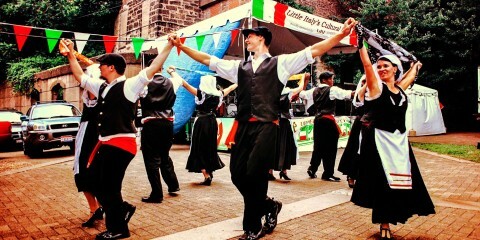 It is the biggest bash of the summer and includes reduced or free admission to many favorite Oglebay activities, homemade ice cream, a 5K walk/run, pedal boat races, live music, fireworks and more. 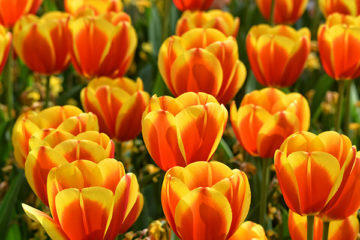 For a complete itinerary of Oglebay Park’s 90th birthday celebration, visit https://oglebay.com/90th-birthday-schedule-of-events/. Christina Fisanick, Ph.D., is an associate professor of English at California University of Pennsylvania, where she teaches expository writing, creative non-fiction and digital storytelling. She is the author of more than 30 books, including her most recent memoir, “The Optimistic Food Addict: Recovering from Binge Eating Disorder.” She has been a Weelunk contributing writer since 2015. Christina is a 1996 graduate of West Liberty University and a member of Ohio Valley Writers. She lives in Wheeling with her family. The history behind Oglebay Park’s existence is fascinating. 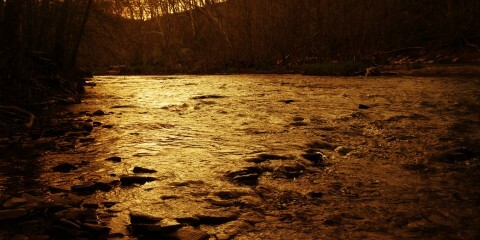 How fortunate we are to call it ours! I always loved going up to Oglebay Park from the time I was a small child, right up into my adulthood. My friends and I have spent many a long day at Oglebay just sitting out among the trees playing our acoustic guitars and having a great time just simply being there. Perhaps even any number of you reading this right now have in the past, happened upon us at one of our impromptu jam sessions, one time or another.